One of the wonderful milestones of your two year old with be the building of their language and social skills. You child could start this year off with as little as 50 words, but during this year she will begin developing two word sentences. Here are some things to look forward to. When we think of 2 year olds, we usually think of the terrible twos. It doesn’t have to be that way. Most 2 year olds really just want to please you, and if you use that pleasing attitude to your advantage, you can really enjoy your two year old. To help you attain the upper hand in your relationship with your 2 year old, you will need to be patient and firm and always remember to keep your sense of humor. One of the wonderful milestones of your two year old with be the building of their language and social skills. You child could start this year off with as little as 50 words, but during this year she will begin developing two word sentences, and then piecing together three and four word sentences and possible by the end of this second year, she may be using up to six word sentences. Not only are the words that she is speaking being added to on a daily basis, she is also beginning to comprehend even more of them on a daily basis. This is usually the time when parents feel the need to spell words to keep their toddler from following along with certain conversations. Along with using new words, your child will begin listening more intently and start learning the basic rules of grammar. Pronouns will start emerging on a regular basis, even if they may not be being used in the proper context. It is important to remember that some children will be much more talkative than others based on their personalities, and those with few words may not necessary be having difficulty with speech. 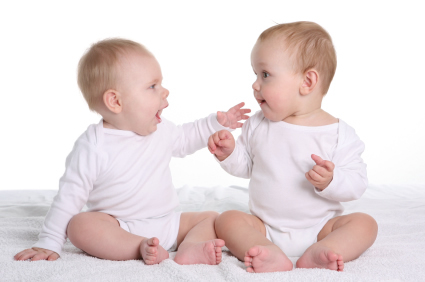 If you are concerned with your child’s language development, you should speak with your child’s health care provider. 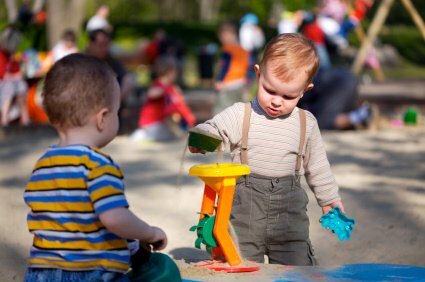 During this time of increased verbal development, you will see an increase this year in your child’s social skills. You may see that instead of just wanting to play with herself, she may want to participate with others in a more social play atmosphere. Children of this age are usually still very “me” centered, but begin to imitate and copy motions and mannerisms from others. Along with their social play emerges a very active imagination and the ability to participate in make-believe play. Any object at her disposal becomes an article that can be transformed into a play toy. Emotionally your child is developing and trying to master control of her feelings, the impulses she feels and the way she reacts to these things. She may be happy one moment, sad the next, and crying when you least expect it. During this emotional struggle of trying to control everything, she is also trying to control and explore the environment around her. A two year old is interested in how everything functions in this world, from the broom to the light fixture. This is an important time to remember that your child lacks many of the skills that would alert her to danger. This in turn will seem like she is trying your patience at this time, but she is really just trying to test her boundaries. 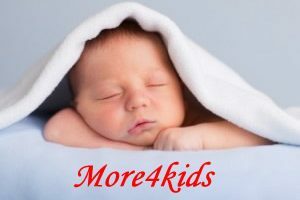 As your child physically grown, you will see that their will be a large transition this year from baby to little child. Proportionately, your child’s extremities, arms and legs will begin to grow to equal the size of her head and torso. This is the point where any baby fat will begin to disappear and your child’s arms, legs and face will become lean and less rounded. Also during this year, child’s fine motor skills will become more honed. She will be able to grip a paintbrush or a crayon with purpose and be able to make deliberate strokes. This is a time when tops can be unscrewed and when a zipper can be unzipped. Walking and stair climbing will become more adult-like and your child will be able to kick a ball with purpose and direction. Some of the challenges that face parents of two-year olds are toilet training, tantrums, and sleeping. Sometime during this year, between 2 and 3, your child will show some type of interest in using the toilet. Allowing your child to observe the use of the toilet can encourage them to want to participate as well. It is important to remember though, that it will be frustrating to you, and your child if you force potty training on a child who is not physically or mentally ready. Your child will give you signs that they are ready. They will usually begin to tell you when they are wet, or ask to use the potty. Whenever interest is shown in the toilet, the child should be encouraged to sit and try to toilet. Praise and encouragement should always be given for going on the toilet, and even an attempt to use the toilet should be praised. Scolding your child for accidents may actually delay the onset of potty training and is discouraged. During this time a child will test and possibly through more temper tantrums than in the past. As your child grows and becomes stronger, so do the tantrums. It is best to try and not encourage temper tantrums by giving in to them. Try to calmly speak with your child regarding what is making them so upset. If this doesn’t work, it is best to just let them get the temper tantrum out of their system. More than likely, they will stop the tantrum when you are not giving any attention to it, and they will return to their normal activities. Sleeping may be a problem also. Most toddlers are so full of energy that they literally just don’t want to rest. They feel they may miss something and want to stay up with everyone else. They may also be feeling some lingering effects of separation anxiety. 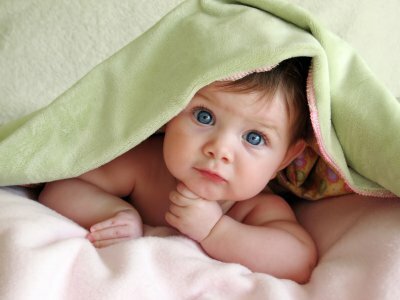 When your child gets out of bed, just walk them back in, reassure them you are there, tuck them in leave the room. You may have to do this for a few nights, but in the long run, she will sleep in her own bed and her sleep pattern will return to normal.